With fall we start to move inward. 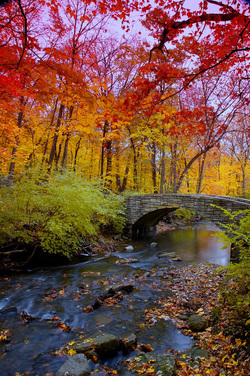 The energetic movement of the autumn season is towards yin, which is cooling, contracting, and calming. The burst of color in the autumn leaves represent the brightness of yang at its last peak before it lets go into the next phase. Many people love the quiet, the color, and the elegance of this season, and feel it as a time to start fresh; or to commit to a new routine. This sentiment corresponds perfectly to the function of the lungs and large intestine organs systems respectively – taking in in new inspiration, and letting go of what is not essential. For others, fall can be a time of grief or sadness, and a season they would rather avoid altogether. How you relate to fall can speak to your relationship with the Metal Element, and whether it is in balance or needing some attention and treatment. This is a great time to cleanse, not your only your body, but also mental or emotional clutter that is no longer serving you. Acupuncture is a wonderful tool to help facilitate this movement, and may alleviate many other symptoms in the process. If you do decide to do a cleanse, this is not the time for raw foods, juices, and salads. Eating warm, cooked foods, vegetables, stews, grains, is what the season and your body calls for. You can call to schedule a seasonal treatment, boost your immune system, assist with your cleansing process, or address any ailments that become prevalent in the fall.